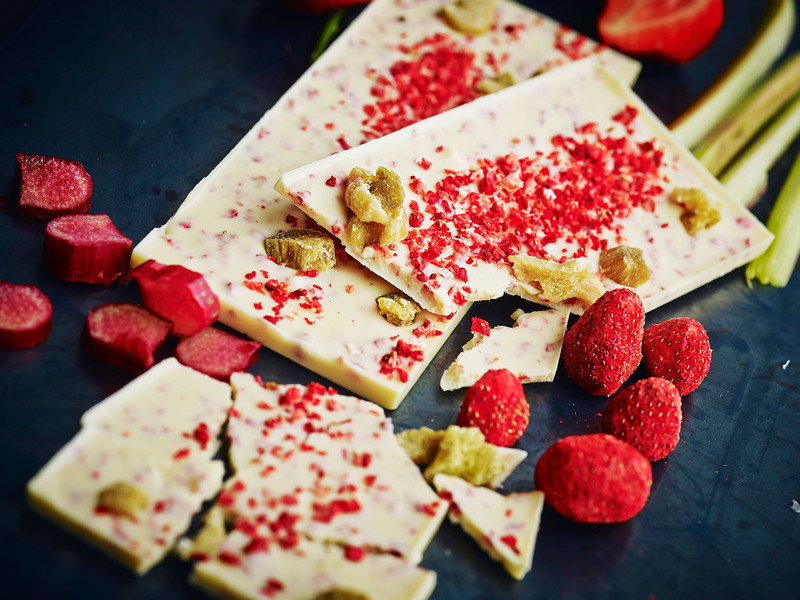 White chocolate bar with rhubarb and freeze-dried strawberry, topped with rhubarb and strawberry pieces. 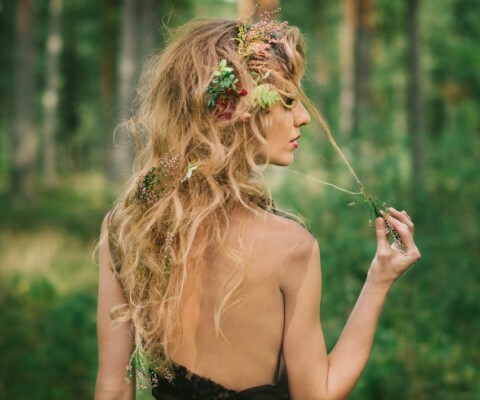 Strawberries are lurking below the leaves. Wild sprout rhubarbs. The Northern maidens harvest them and set in white and soft chocolate.